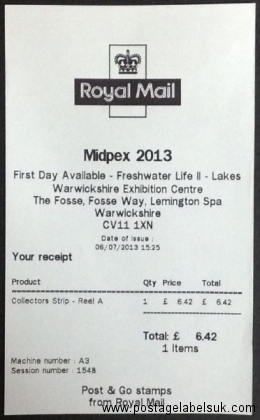 6th July 2013 and the latest stop on the ‘Post and Go’ world tour brings two Royal Mail Post and Go machines (A3 and A4) to the Warwickshire Exhibition Centre. A surprise though that two machines (rather than the advertised single machine) have been provided to satisfy Dealers (and even a few collectors) needs. 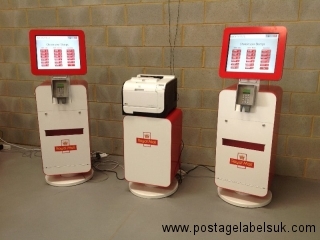 Both machines are loaded with the latest issue of Post & Go Freshwater Life “Lakes” buy nolvadex pharmacy Stamps creating the first opportunity to obtain this issue printed on a Hytech Machine (other than those issued in Pack or FDC format). 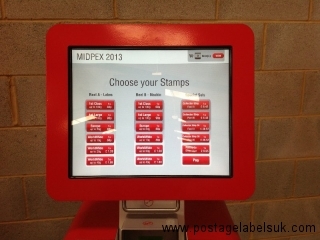 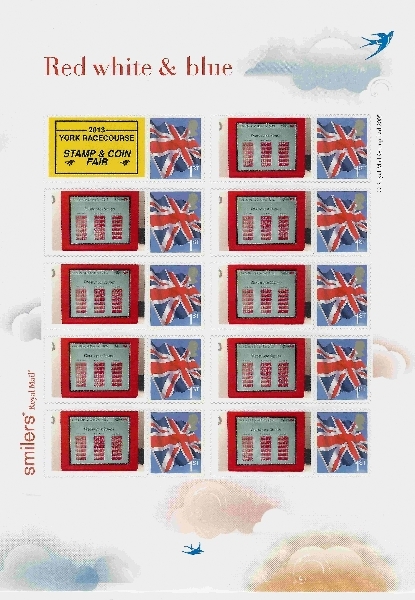 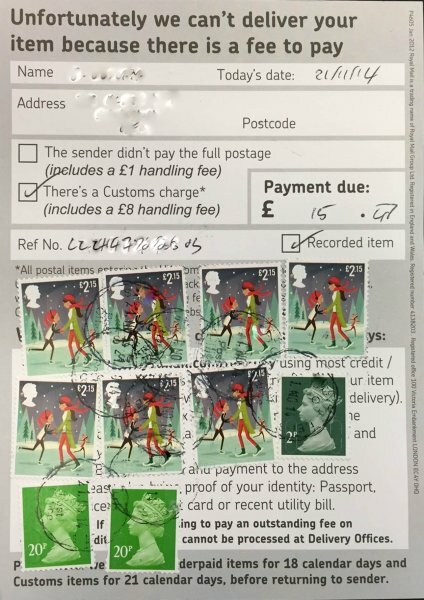 In addition to the Post and Go stamps – ‘Midpex’ themed Post and Go Smilers have been issued. 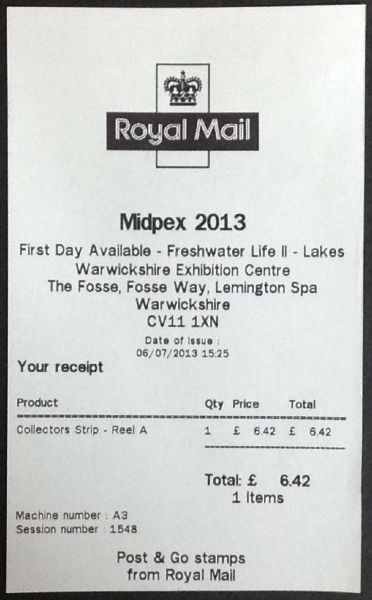 Left- Screen shot showing the selections available – ‘Lakes’ and ‘Machin’. 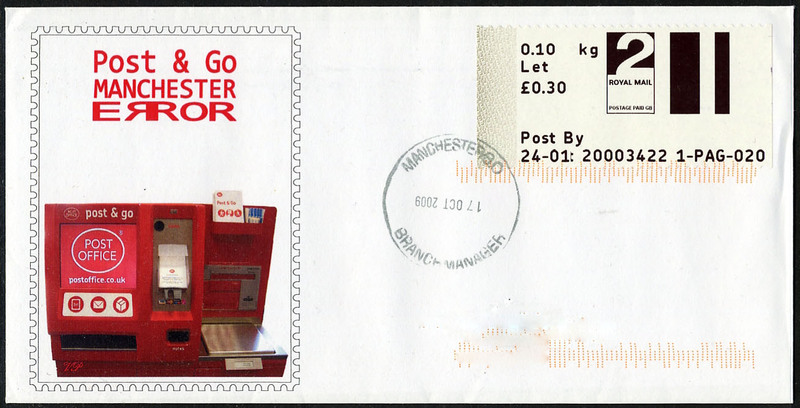 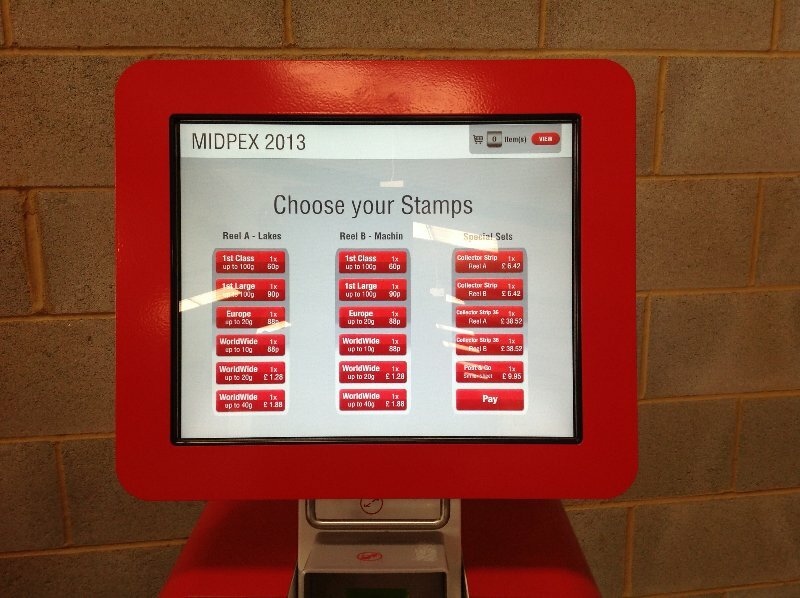 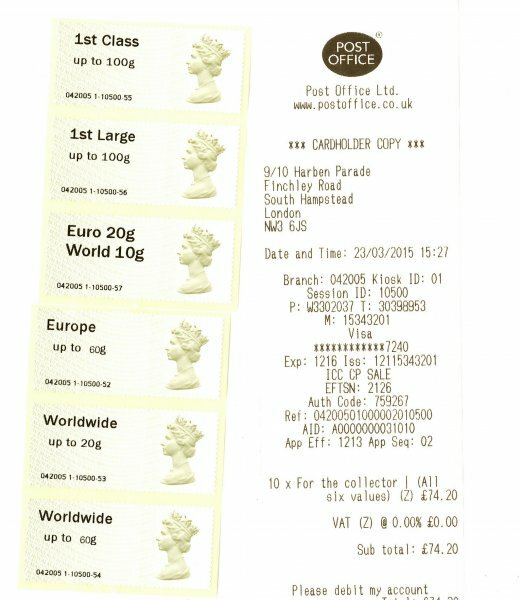 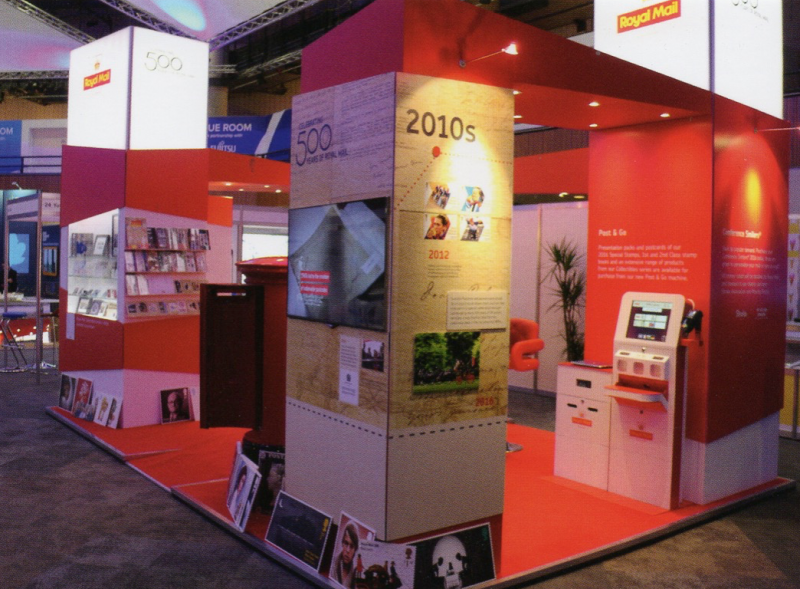 Machin Head Post and Go stamps have been dispensed from Wincor-Nixdorf kiosks in the UK since 2008. 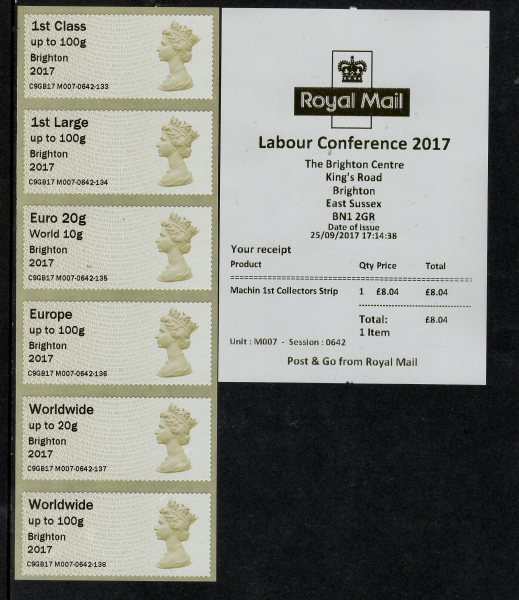 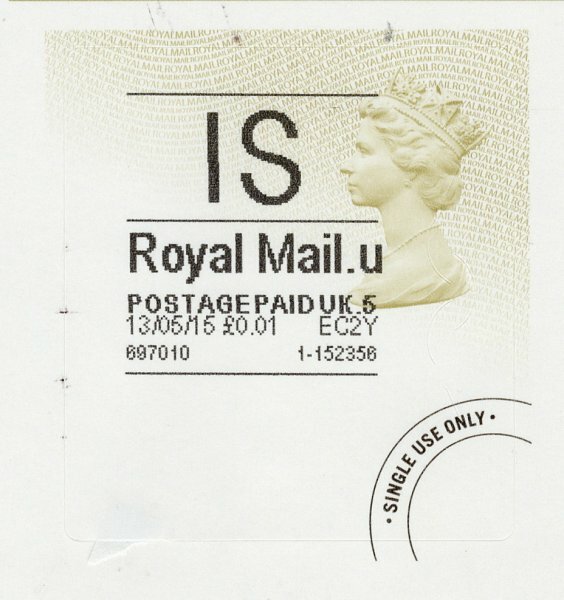 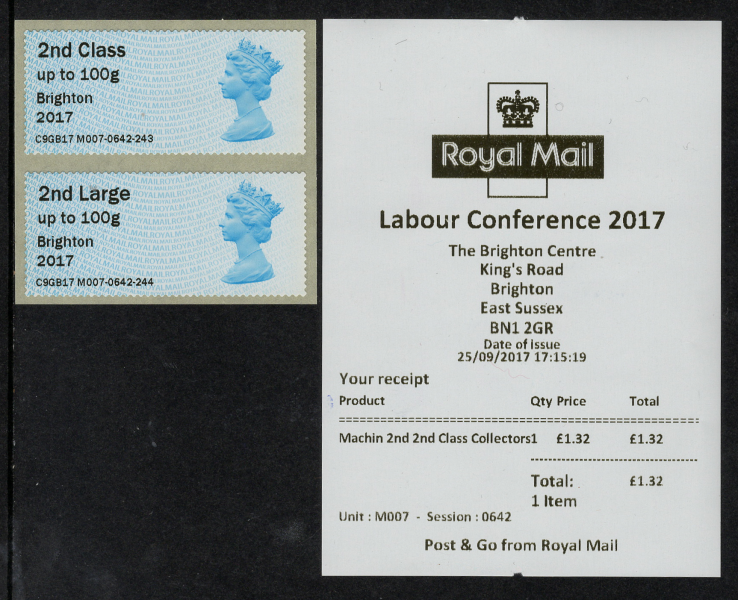 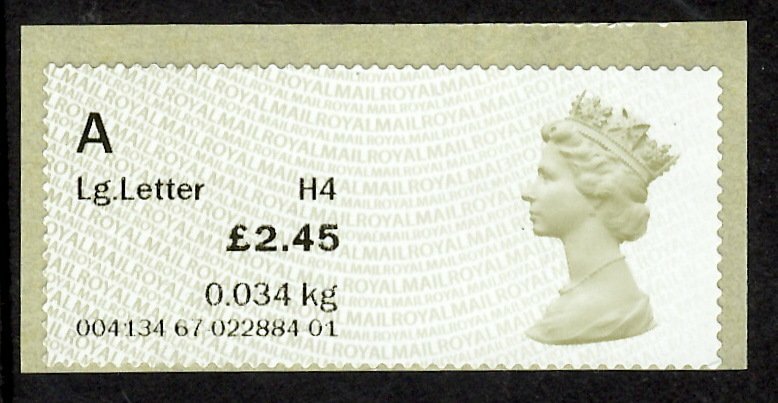 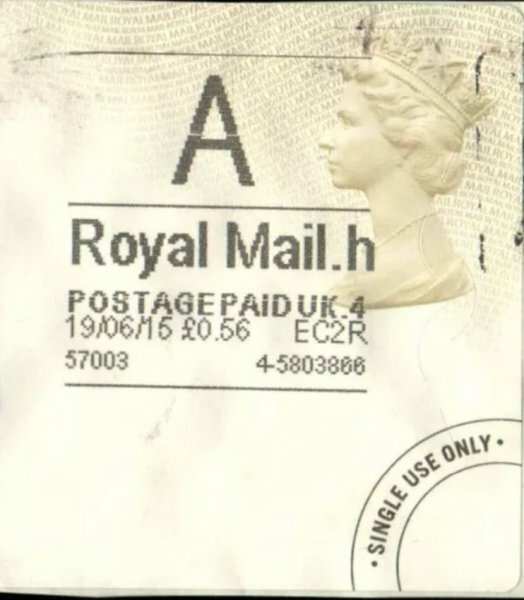 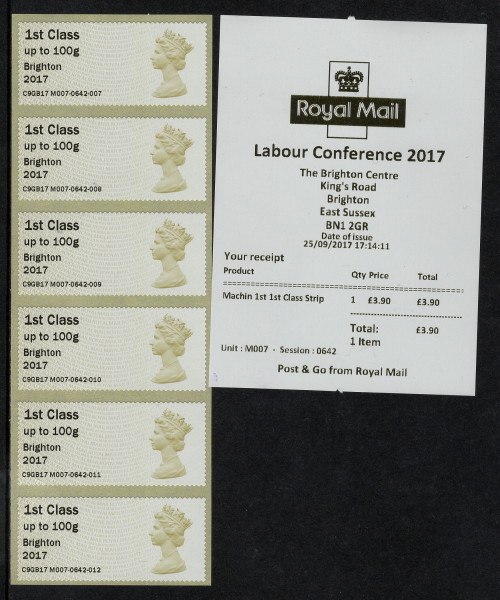 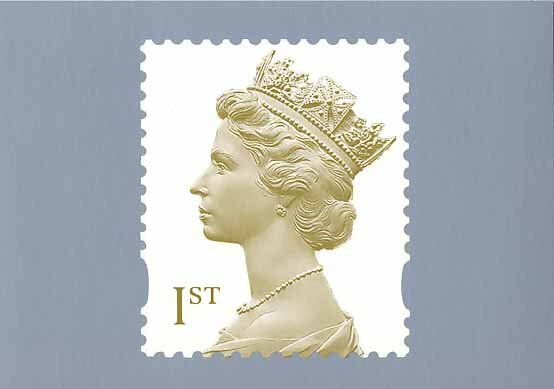 There are two versions of the print – one printed by the kiosk at Post Offices across the UK and another press-printed version of the original font set available from the Philatelic Bureau at Tallents House in a presentation card. 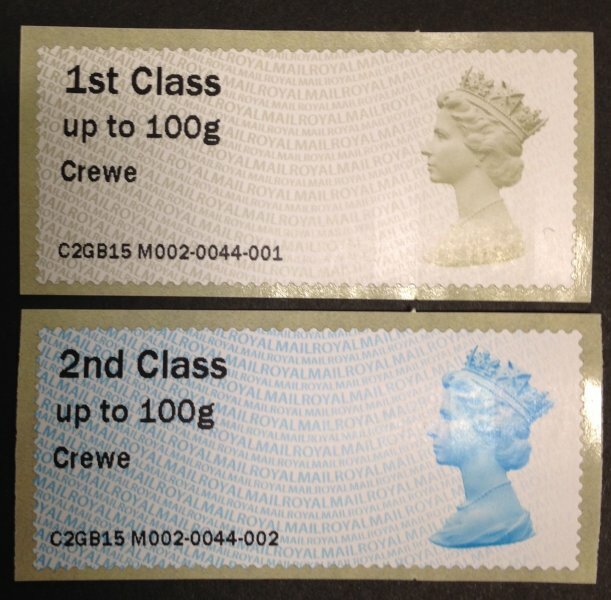 The labels can be obtained with 5 different service indicators: 1st class & 1st class Large up to 100gr, Europe up to 20gr, Worldwide up to 10gr and 20gr, singly or in strips of up to 5 of the same value or various values. 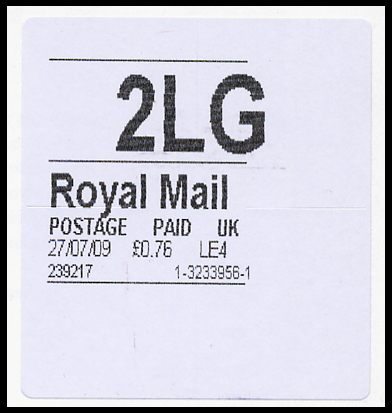 For those that are printed by machine there are two further buy nolvadex online versions of the oveprint- original and updated font (see below) , for these we supply a strip of the five different values currently available in a special ‘collectors strip’ and offer a choice of machine code (when available) and font. 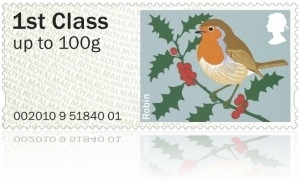 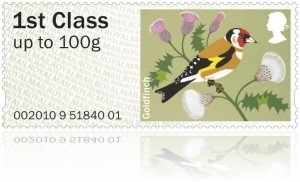 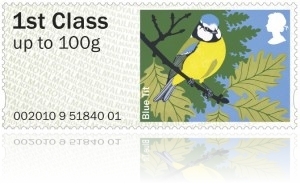 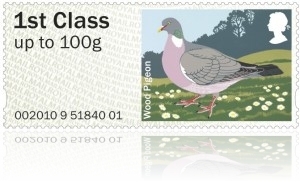 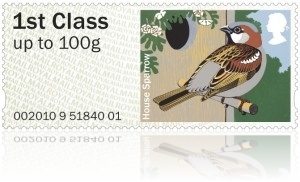 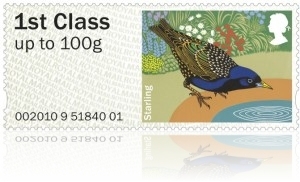 During 2009, In preparation for the pending issue of Pictorial (Birds) Faststamps some 32 Post Office branches had their kiosks’ software upgraded which resulted in the repositioning and resizing of the font.